My eighth ground of 2017 was on Tuesday 11th April at the Welfare Ground in Armthorpe, South Yorkshire. The match was Armthorpe Welfare vs. Bridlington Town in the Northern Counties East League Premier Division. 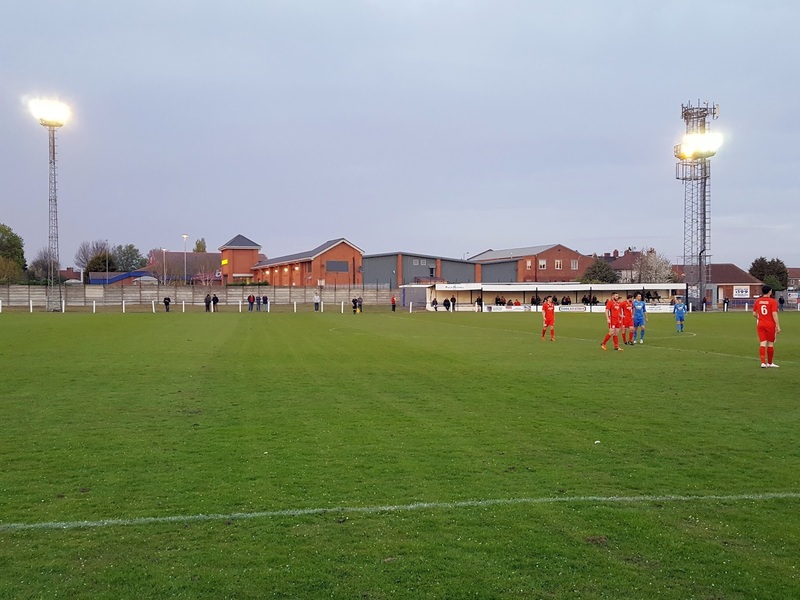 The Welfare Ground is close to the centre of the village of Armthorpe just to the east of Doncaster. The eastern end of the ground backs onto a community area including a community centre, a church and additional sporting facilities. The club are also neighbours with a Morrisons supermarket to the north with housing surrounding the remainder of the ground. The venue is four miles east of the nearest railway station at Doncaster. The entrance to the ground is in the north-east corner and immediately to the left of this is a building holding the players dressing rooms. Opposite this is a separate building for officials dressing rooms and next to this is a demountable with a club office and bar. 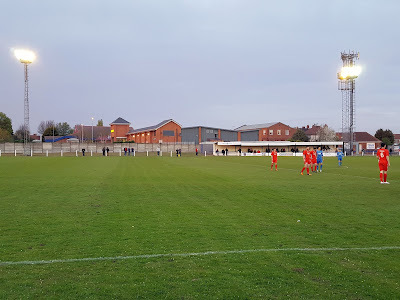 In front of this is the Philip Mitchell Stand which runs from the eastern penalty area to near the half-way line. This stand has three levels of concrete with wooden benches attached to them. The western half of this side of the ground is uncovered standing. There is one further stand which sits directly behind the western goal. This covered standing area consists of two levels of concrete so is small in nature. Next to this stand is a decent sized grass area and there is netting for most of this end to protect the properties behind. The rest of the venue is uncovered standing. On the eastern, and particularly the southern sides there is a concrete strip of hard standing with large grass areas behind. The southern side also has the two team dugouts. Armthorpe went into the game rooted to the foot of the table with Bridlington riding high in 3rd. 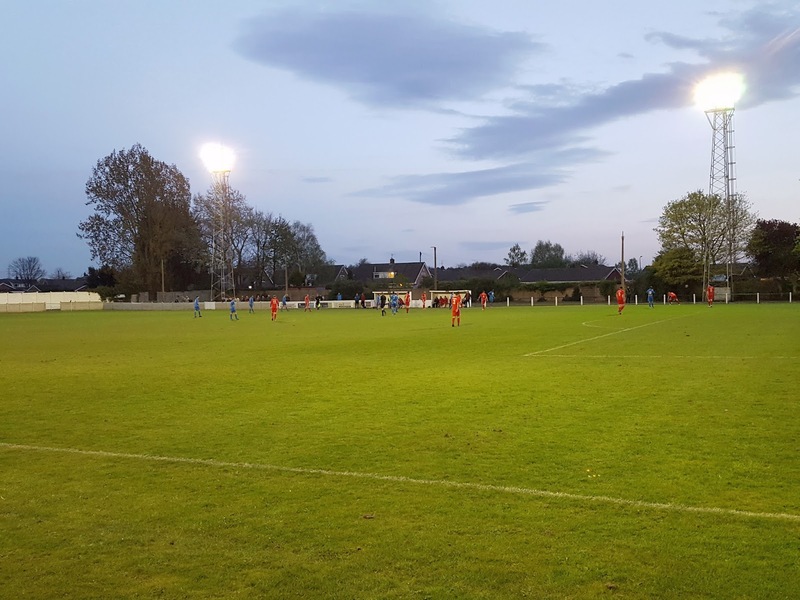 It was then a real surprise when the hosts took the lead in the 3rd minute - the ball was passed through the defence to Gary Collier on the left wing. Everyone seemed to stop as Collier headed in the direction of goal and lifted the ball over Bridlington keeper Nick Baxter. After this early set back the visitors dominated the game and attacked the eastern end with a huge number of corners. 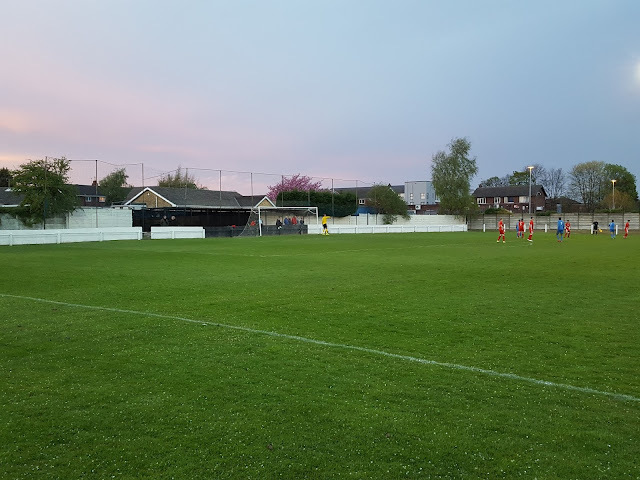 One of these corners paid off in the 36th minute when it was only cleared as far as the edge of the box and Jake Day rifled a shot into the roof of the net from 20 yards. A couple of minutes into first half injury time Bridlington got their noses in front in similar circumstances - again it was a corner cleared to the edge of the box and drilled back in from 20 yards by Jamie Forrester. In this case Liam Copley was able to save but only palmed the ball as far as Brett Agnew who tapped in the rebound. Bridlington continued to be well on top in the second period but if they were hoping for the floodgates to open they would be disappointed. In the 56th minute Jordan Harrison shot low in the area, Copley saved well but Harrison picked up the ball again and curled an effort off the top of the crossbar. A couple of minutes after this the home side had their one chance to equalise when a corner was whipped into the near post and the resulting header was cleared off the line. 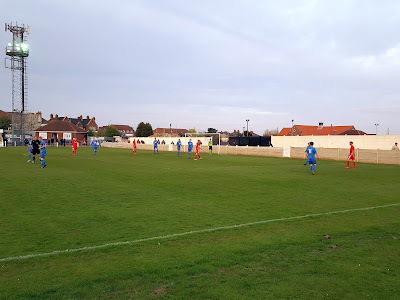 In the 72nd minute Bridlington were denied by the woodwork for a second time after Jamie Forrester slipped in Jake Day in the box and Day controlled the ball before shooting back off the post. On the whole the visitors were pretty wasteful in front of goal and couldn't kill the game off until the final whistle. When that whistle came it confirmed relegation for Armthorpe ending a 32 year stay in the Northern Counties East League Premier Division.